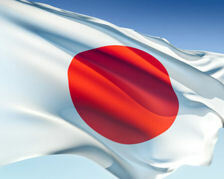 Translation is the necessity for today’s world and we are providing the Japanese translation in its best possible way. We employ only the very best Japanese translators the world has to offer. They are meticulously screened during our rigorous selection process so that only specialists having the best qualification, industry experience and subject expertise handle your translations. We only work with dependable and experienced translators who consistently display superior performance and quality results. We ensure that the Japanese translators assigned to your project have the appropriate expertise required to provide you with a high quality, culturally sensitive translation in any field that you desire. Japanese Translation Fields: Document Translation ( IT Manual, Software Manual, Multilingual User Manual, Technical Script and Manual, Training Material, Medical Documents, Engineering Documents, Marketing & Advertising, Legal Documents, Literatures, Official Papers, Tourism, Sports), Website Translation, Software Localization, Multilingual Web Publications, Web Content management and translation, Print Publications. Japanese (日本語) language spoken by over 130 million people in Japan and in Japanese emigrant communities. It is related to the Ryukyuan languages. There may exist relationships with other languages, but they have still remained undemonstrated. It is an agglutinative language and is distinguished by a complex system of honorifics reflecting the hierarchical nature of Japanese society, with verb forms and particular vocabulary to indicate the relative status of speaker, listener and the third person mentioned in conversation whether he is there or not. The sound inventory of Japanese is relatively small, and it has a lexically distinct pitch-accent system. It is a mora-timed language. The Japanese language is written with a combination of three different types of scripts: modified Chinese characters called kanji (漢字), and two syllabic scripts made up of modified Chinese characters, hiragana (平仮名) and katakana (片仮名). The Latin alphabet, rōmaji (ローマ字), is also often used in modern Japanese, especially for company names and logos, advertising, and when entering Japanese text into a computer. Western style Arabic numerals are generally used for numbers, but traditional Sino-Japanese numerals are also commonplace. Although Japanese is spoken almost exclusively in Japan, it has been and sometimes still is spoken elsewhere. When Japan occupied Korea, Taiwan, parts of the Chinese mainland, the Philippines, and various Pacific islands before and during World War II, locals in those countries were forced to learn Japanese in empire-building programs. As a result, there are many people in these countries who can speak Japanese in addition to the local languages. Japanese is the de facto official language of Japan and in Palau, in the island of Angaur. There is a form of the language considered standard: hyōjungo (標準語) Standard Japanese, or kyōtsūgo (共通語) the common language. The meanings of the two terms are almost the same. Japanese to English Translation services - Japanese Language Translators - Cost effective Japanese Translation Network - Kolkata Japanese Translation - Website Localization India - Kolkata Translators - Japanese Content Writing India - Japanese Language Professionals Kolkata.